Hi All! 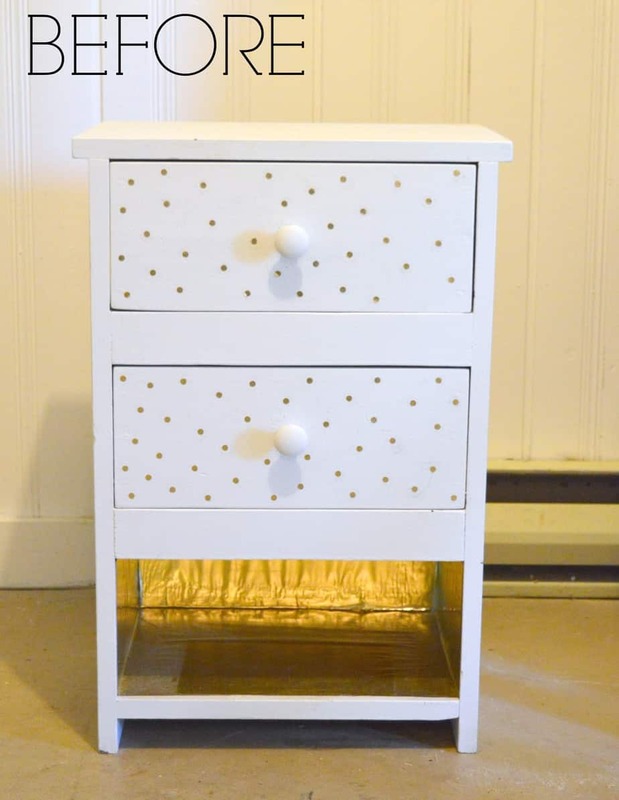 It’s July DIY Challenge time! In this case, July’s theme was Paint! Right up our alley! If you know us, you know that we aren’t big on the ‘matchy matchy’ furniture. It’s probably safe to say that we’ll never walk into a store and buy an entire matching bedroom set. For whatever reason, those just don’t seem to work in real life – don’t you agree? 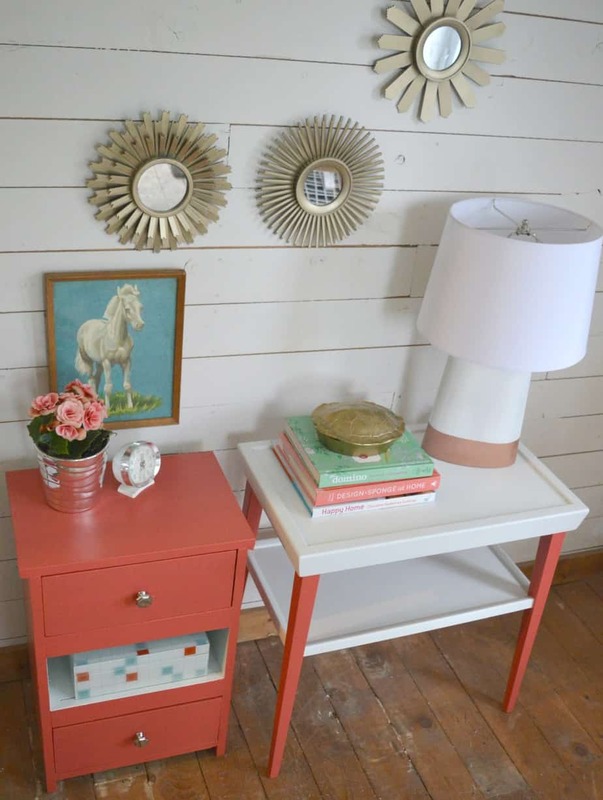 Today, we’ll show you how to make two end tables match using paint! We had two of these junk tables. Both were side of the road curbside finds from years ago that have seen their fair share of ‘makeovers’. The neat thing is they are both exactly 24″ high – so with a lick of paint, we could easily ‘marry’ them into a matching set! The colour we settled on was Fresh Berries by PARA Paint*. What a vibrant colour! First things first, we taped off the tables and went to town with Fresh Berries. 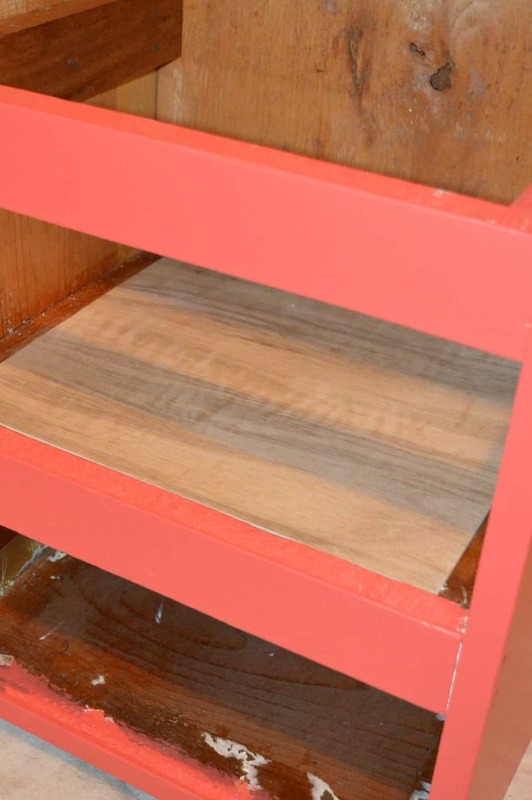 And for the table with the drawers, we used some high-grade 1/4″ plywood cut to size to make a new shelf. 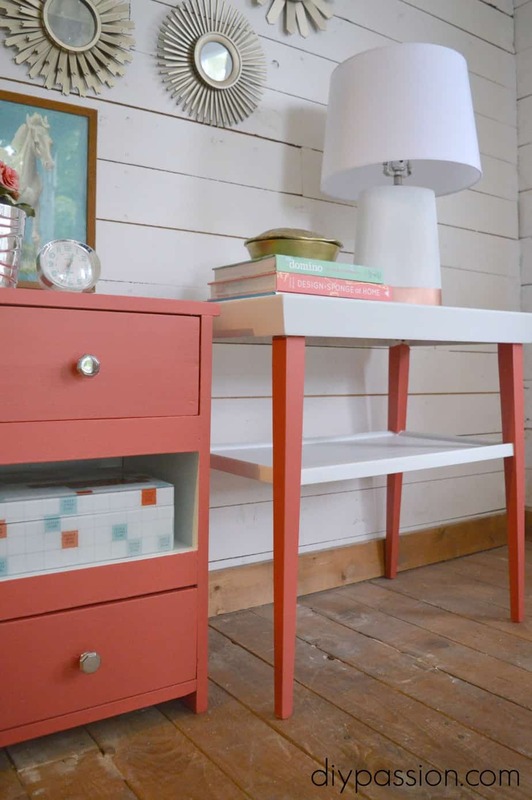 So the tables definitely do not match – but by using paint, we have created a lovely pair of workable end tables. Oh ya. Notice that lamp? That was another ‘paint’ project. And in fact, another trash to treasure! 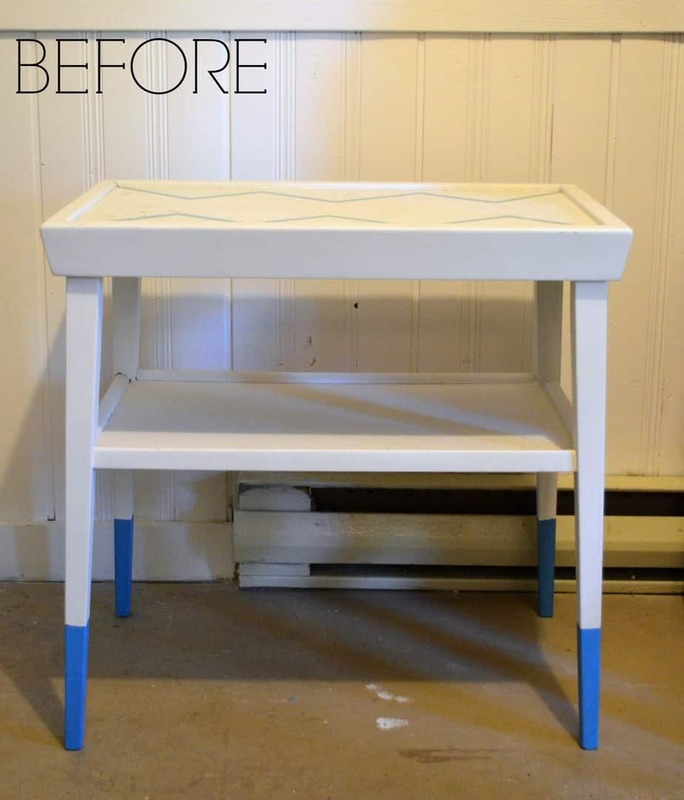 Check out this post to find out how that makeover went down! Meantime, these tables can be used next to the couch in the living room, in the sunroom if we crave a switch up or even in our (terribly neglected) guest bedroom. 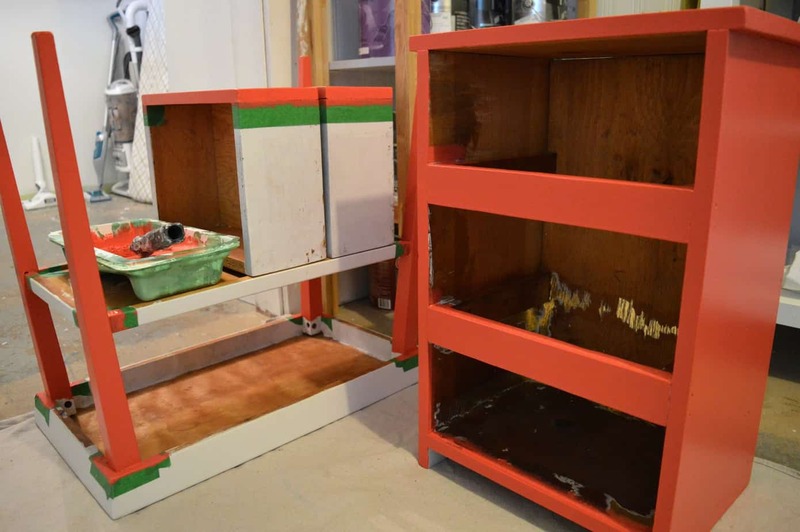 The key to using paint to merge to very different pieces is to use it sparingly. Just highlight the parts of the pieces that make it particularly unique and then fill in the rest with styling and decor. See? Side of the road finds meant to be together like peas and carrots. Now, don’t forget it’s a #DIYChallenge! That means there are ALL these other paint projects to check out! Amazing!! Share the love and have a fabulous day. *We are members of the 2015 PARA Paint Blog Crew! That means they let us fill our boots with Fresh Berries and all their other wonderful paint hues and products so that we can show you how awesome they are! Having said that – it doesn’t change or impact our opinion of the colours or products themselves. Here are some other furniture flips you’ll FLIP for! Finding your Decorating Style | Who are you really doing it for? Yay! Thanks Christina! I also am in love with the color. I want to use it everywhere! Loving that beautiful color! 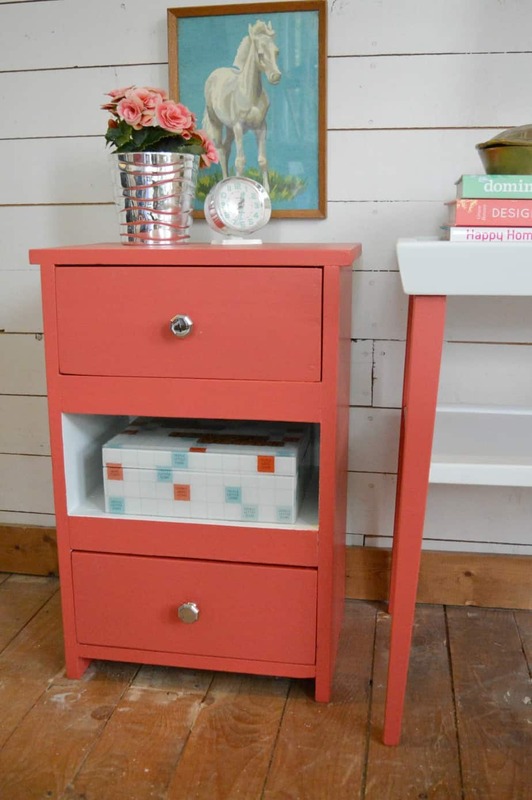 Such a smart idea pairing two pieces and coordinating them with paint. Pinned and sharing on my FB page! SUCH a fun colour! LOVE how they turned out!!! Oh I LOVE them! They really do pair so well together with the coordinating paint. What pretty poppy pieces! Also, your styling is spot-on. Love it! Your tables are beautiful! That color is just gorgeous. I like how using the color all the way up the legs on the table that used to have blue legs really elongated that piece. Love the color!! They look fantastic. LOVE the color! These are such cute tables, you did an awesome job! These are FANTASTIC! I adore the colors you chose. What great curbside finds! 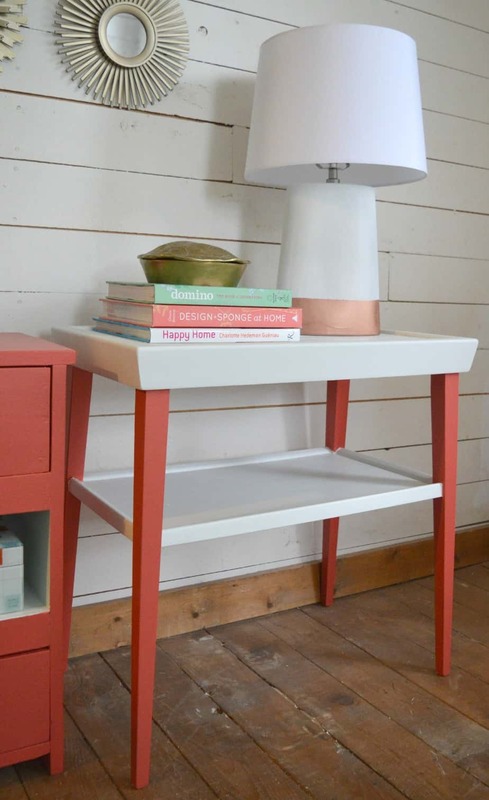 I’m loving the white and coral combo and the fact that you can use them in so many places throughout your house. Great job! Gorgeous makeover, guys!! Love the color you chose! What a great find!! Hope summer is going amazing! Fabulous makeover! Love the color! So vibrant and colorful! I absolutely love this! Not a fan of matching furniture sets either, but I do love a coherent look and I am so impressed with how these turned out. 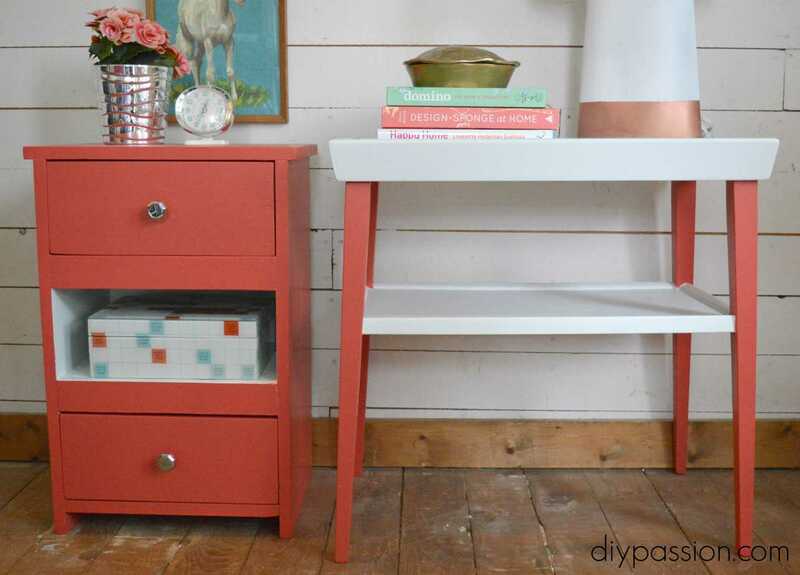 I love how you did the legs in one colour and the trays in another – I think it works to coordinate them even better. Gorgeous photo styling too.